Built in 1870, this theatre was a private and a performing home of the famous Shelleys, a literary and theatrical dynasty from the 19th century. The house has a capacity of accommodating 160 people and offers facilities like a baby grand piano, small dressing room, black box staging, lighting and sound system. This house has undergone many renovations. However, it has still retained its former glory. Catch up on a show in this theatre to experience its amazing light and sound system. Climb up to the studio that is above the auditorium overlooking the parkland facing towards the beach. Ask the box office about the ticket price of the shows. 15 minute walk from Pokedown for Boscombe railway station and 5 minute walk from all the major bus routes that pass through Boscombe. How popular is Shelley Theatre? People normally club together Oceanarium- The Bournemouth Aquarium and Boscombe Arts Trail while planning their visit to Shelley Theatre. Great theatre undergoing renovations which will take forever but it adds to the atmosphere. Good selection of plays and music. In both the theatre and also the cafe which is very good for intimate musical events. They even have lots of toilets now and fully functioning bar. The site are refused from the 3d theatre that used to be on the front in Bournemouth. Plenty of history about the place. Try to catch an open day for tours. Look out for Cindy events and regular folk sessions. A wonderful, quirky theatre, hidden in a small courtyard. The welcome is warm and friendly, and the facilities and excellent. Would highly recommend checking out this place if you are looking for somewhere different to see a show or production. The Shelley is a wonderfully intimate theatre with a character of its own and a fantastic team of dedicated volunteers. The latest upgrade of the lighting system has provided the theatre with a whole new dimention. 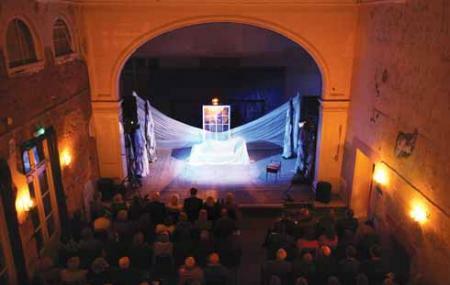 It is a venue worthy of its long history and connection to the arts and the Dorset coastline. Lovely building. Beautiful little theatre with super comfortable seating. Staff so sweet and unpretentious.